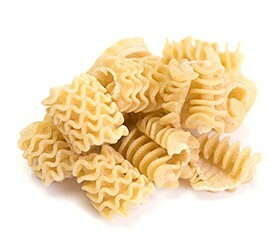 The Radiatori pasta shape was developed in the 1960s by an industrial designer. Because of their unique shape, they are excellent sauce trappers! Cook our Radiatori in boiling water for 5-6 minutes.